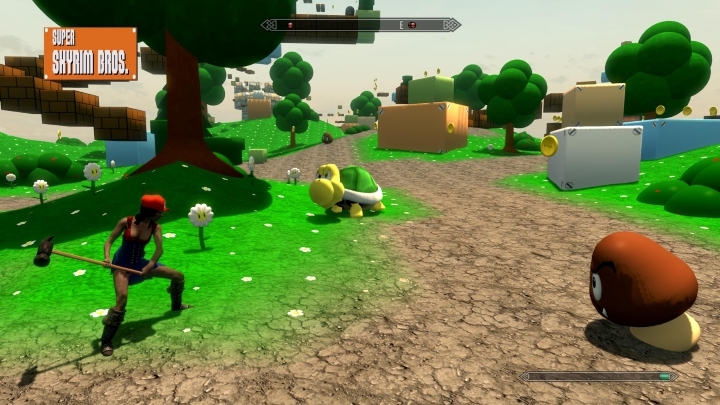 If one thing is clear, is that Mario is one of the best-known characters in gaming, so it is not surprising that one very dedicated Skyrim player decided to recreate the series’ Mushroom World in Bethesda’s game. So like in Nintendo’s world-renowned game, you get to jump on platforms, fight Goombas, and even square off with famous video game villain Bowser in order to rescue Mario’s paramour Princess Peach. The mod even lets you whack those pesky Goombas in the head with an assortment of melee weapons, including a plumber’s hammer, and that alone makes it worth a look in my book.